term relationships with our clients. 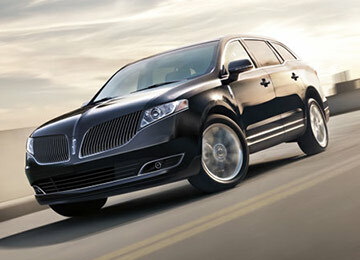 Limo Express offers only the latest model sedans, stretch limousines, SUVs and vans. Our diversified fleet consists of only black vehicles with plush seating surfaces, privacy glass and state of the art premium sound systems. 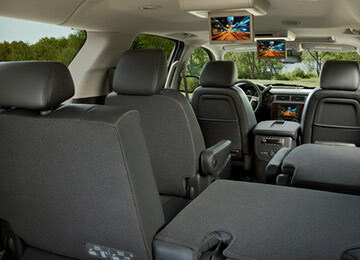 Our stretch limousines and SUVs feature TV and DVD entertainment systems. We supply complimentary chilled spring water and ice in all limousines for your enjoyment. With a strong vision, superior service and a stellar management team, Limo Express has revolutionized the premium Chauffeured Service industry. In today's busy world we are confident you will realize the value that our attentive, comfortable, and accommodating transportation solutions provide. 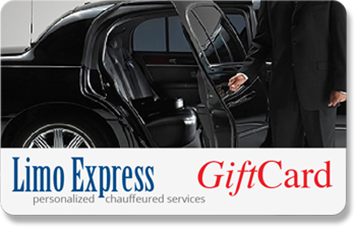 Limo Express has been providing exceptional ground transportation for over 30 years. We are centrally located in Bergen County, NJ and service the entire New York City Tri-State area. It's simple, you refer the people you know, and receive $25.00 off your next trip with Limo Express. You’re friend also receives $25.00 off. It’s a win, win for both of you. Refer as many people as you wish. Sign up today and register for your rewards! For over thirty years we have been considered the leaders as well as the innovators in the limousine service industry fostering long term relationships with our clients. Utilizing the latest in cutting edge technology no other Bergen County NJ Limousine Service can compare with our consistent level of on time performance and dependability. Our large meticulously maintained fleet includes the latest model Limos, Limousines, Sedans, Executive Vans and our popular SUV's. Whatever the occasion from Corporate Transportation in NJ, Airport Transportation, New York Sightseeing to a romantic Night on the Town, we have the Knowledge and Expertise to make Every Event a Special Event! Once you've experienced our level of service, you'll realize you have made an excellent choice in selecting us as your Limousine Service provider. Whether you require Limo Services in Bergen County New Jersey, New York or any Major City Nationwide, our experienced staff is ready to serve you. Contact us today and find out for yourself why we are considered "New Jersey’s Best Limousine Service" and rated A+ by the Better Business Bureau. We are proud to have been consistently selected by the readers of numerous publications on their "Best of Lists" as their favorite limousine service in NJ.